A further note on our adventures at Okehampton Castle last month; we made the inside pages of the Okehampton Times with its’ coverage of the English Heritage open day. With coach Robin Catling and demonstration partner Danny Moore, a couple of our younger would-be knights who joined in on the day. 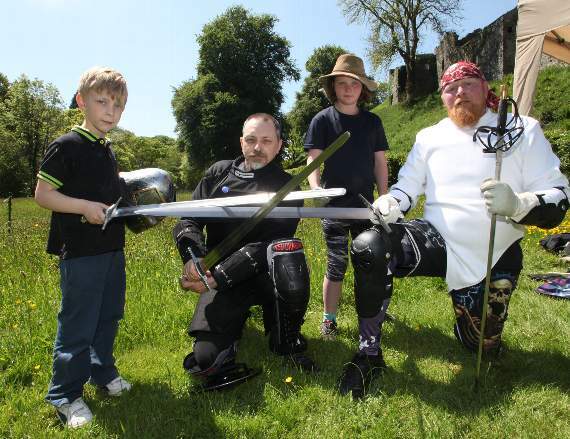 Pictured: (from left) James Ellis, Robin Catling (West Devon Swords), Kitty Hermansen, Danny Moore.